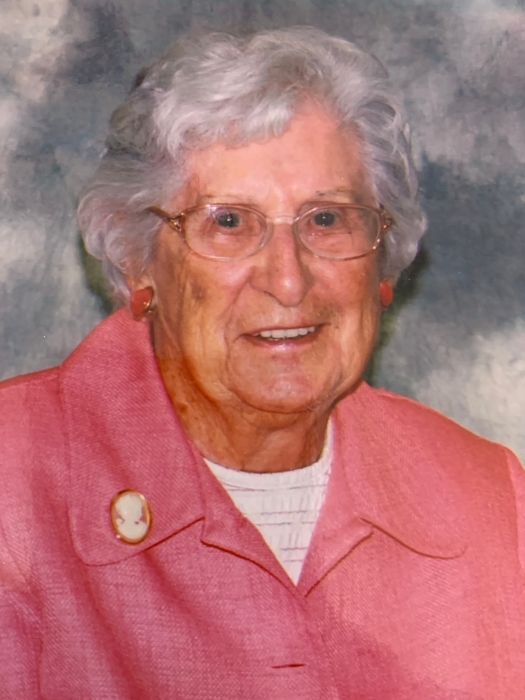 Geneva H. Edwards 98, of Smithshire, IL died Saturday April 6, 2019 at Oak Lane Nursing and Rehab Center in Stronghurst, IL. She was born Monday June 28, 1920 in Biggsville, IL. She is the daughter of Kyle and Cora (Leftwich) Hilten. She married Gail Edwards on August 24, 1940 in Smithshire Il and he preceded her May 27, 1990. Geneva was born in Biggsville, IL and graduated from Media-Weaver High School in 1938. She was a member of the Smithshire United Methodist Church, she was also a part of the United Methodist Women. Geneva was a Beautician for several years. She was a homemaker, loved her flowers and made a great apple pie. She especially loved her grandchildren and going to their activities. Geneva loved to watch Lawrence Welk. Funeral Services will be at 11:00 am on Thursday April 11, 2019 at the Smithshire United Methodist Church where visitation will be held one hour prior. Memorials may be made to Smithshire United Methodist Church. Burial will be in Center Grove Cemetery in Kirkwood, IL. Online condolences may be made at www.wisefamilyfuneralhome.com. Wise Family Funeral Home in Roseville is in charge of arrangements.